An incredibly interesting medical study shows that zebrafish embryos can have a significant impact on cancer cells by causing apoptosis. Apoptosis is a form of cell death in which a programmed sequence of events leads to the elimination of cells without releasing harmful substances into the surrounding area. Apoptosis plays a crucial role in developing and maintaining the health of the body by eliminating old cells, unnecessary cells, and unhealthy cells. The human body replaces perhaps one million cells per second. Too little or too much apoptosis can play a role in many diseases. An Italian Doctor called Dr Pier Mario Biava has been conducting pioneering research into the affect zebrafish embryos have on creating Apoptosis in cancers cells. Effectively this means the cancer cells commit suicide without damaging any surrounding healthy tissue. This study which you can read by clicking this link shows significant apoptosis occurred in patients with Bowel Cancer. 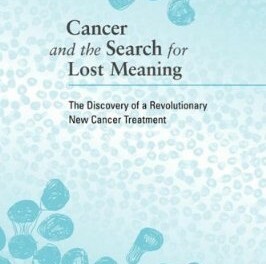 In this groundbreaking work, Dr. Pier Mario Biava argues that the problem with cancer is not the disease itself, but how to treat it, how to approach the affected body. Malfunctioning cells, he says, need not always be cut out or chemically destroyed: they can be reprogrammed for normal functioning. This process involves identifying the information that stem cells receive during embryonic growth in the mother’s womb and reapplying it to cancer cells in the fully developed organism. Thus cancer cells can shift from multiplying and damaging tissue to healthy growth within the organism. Dr. Biava’s dramatic story recounts not only how he came by his key insight but also how he devoted years to its testing and making it operational.